For Sales – The value an old wooden for Home & Office+Warehouse at pattanakarn 38 – 289 sq.w – 45 million baht …Very beautiful…..
289 sq.w. 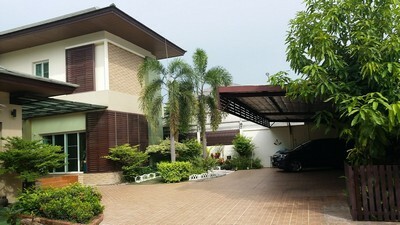 land located in Soi Pattanakarn Suan Luang with 3 bedrooms, 4 bathrooms, Makha wood floor, Teak wood door. The lower floor is the maid\'s room and the upstairs is multi-purpose room. - Satellite TV 7 points.